Please remember to leave a like and a comment! Fire Emblem: The Blazing Blade is a Japanese tactical role-playing game for the Game Boy Advance, developed by Intelligent Systems and published by Nintendo. The game was released on April 25, 2003 in Japan, November 3, 2003 in North America, and July 16, 2004 in Europe. It is the seventh game of the Fire Emblem series, the second game in the series to be released for the Game Boy Advance, and the first to be released in both North America and Europe. 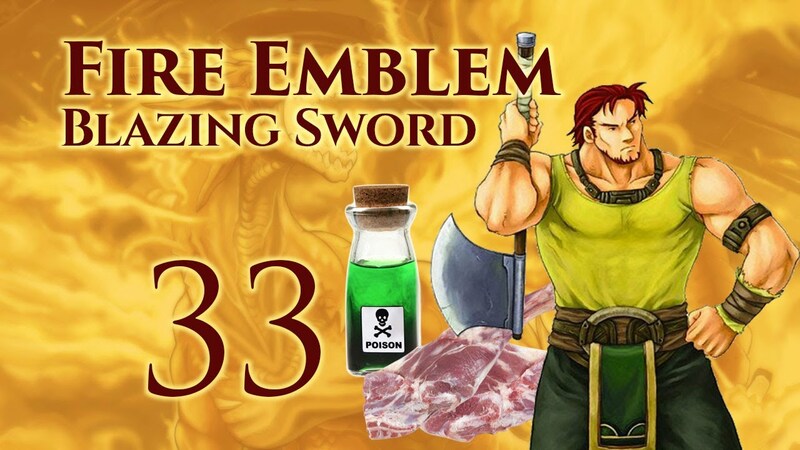 This game introduced Fire Emblem to the Western audience. It is the prequel to Fire Emblem: The Binding Blade, and takes place over two years in game, with the events of Fire Emblem: The Binding Blade occurring 20 years after that. Roy, the hero of Fire Emblem: The Binding Blade is born sometime within 5 years after the conclusion of The Blazing Blade. Fire Emblem averages an 88.3 percent rating on Game Rankings which makes it the fourth highest rated Fire Emblem game on Game Rankings.